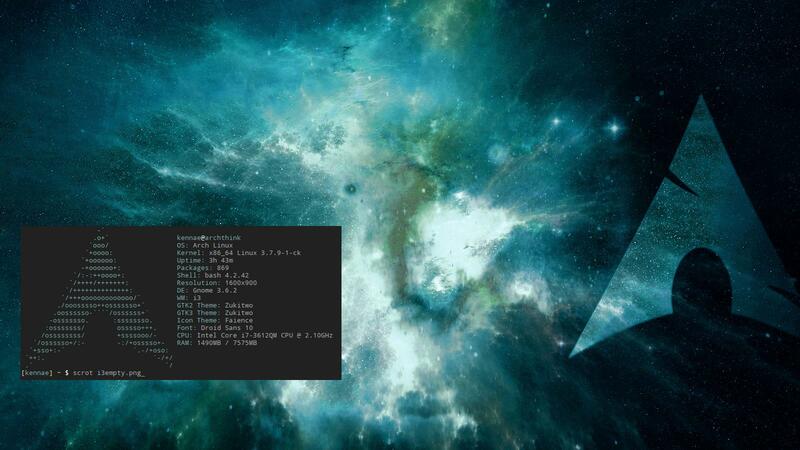 and install xfce4-taskbar-plugin (https://aur.archlinux.org/packages/xfce … ar-plugin/ and replace it with the xfce4-taskmanager on the side panel. XMonad, Circle layout, using earsplits vol and music scripts . 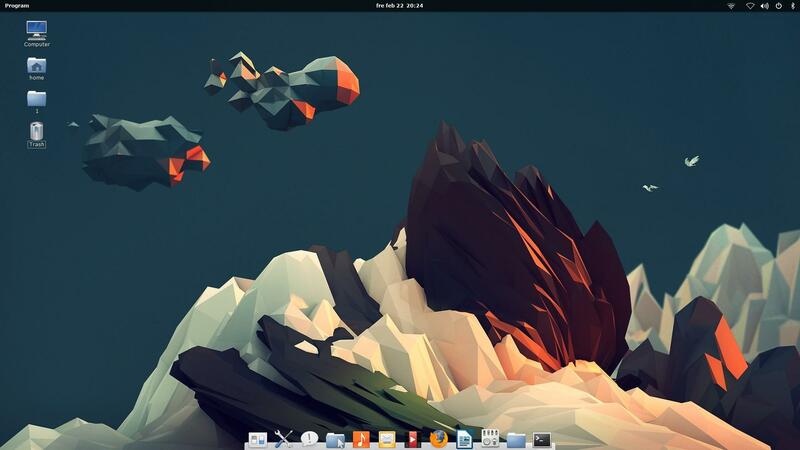 That looks great, but what's the side-panel/Xfce-applet? Pantheon Shell, small changes since the last time. Ditching awesome for i3. Seems really nice. Might try out xmonad later. It installs after a bit of work, but a good 90% of it's functionality is broken, and I have no system indicators such as the systray, shutdown/reboot/etc. Wingpanel is for the most part empty. 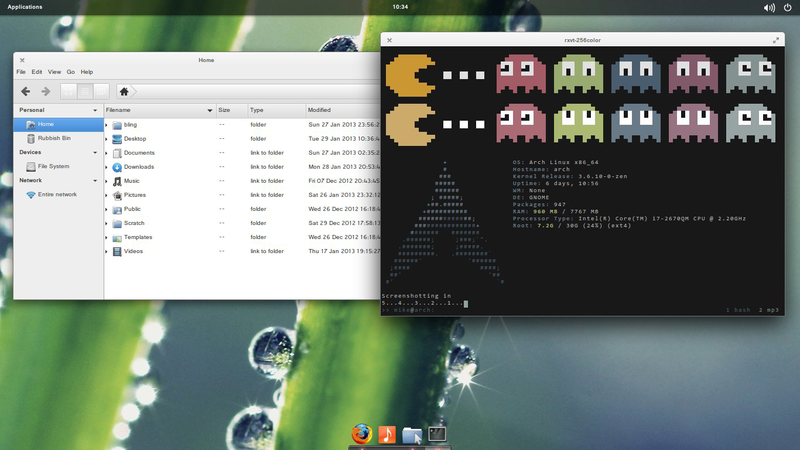 Got fed up with Gnome since all I need is shortcuts to maybe five desktops so I needed a tiling wm. Listening to people made me decide to try i3 and it really is great with it's clean config but really ugly default color scheme. No panels since nobody really stares at them anyway and this is a laptop with limited screen space. Now I just need a ncmpc theme to go with the rest and maybe some muscle memory for i3. What colour scheme are you talking about? i3bar? Switched to the Ubuntu fonts after a very long time with Nimbus Sans for everything. Wallpaper from simpledesktops. Yes, the bar and window decorations but thats just my inner graphics designer talking. Herbstluftwm, urxvt, conky (showing MPD). Really luvin the spectrwm experience! 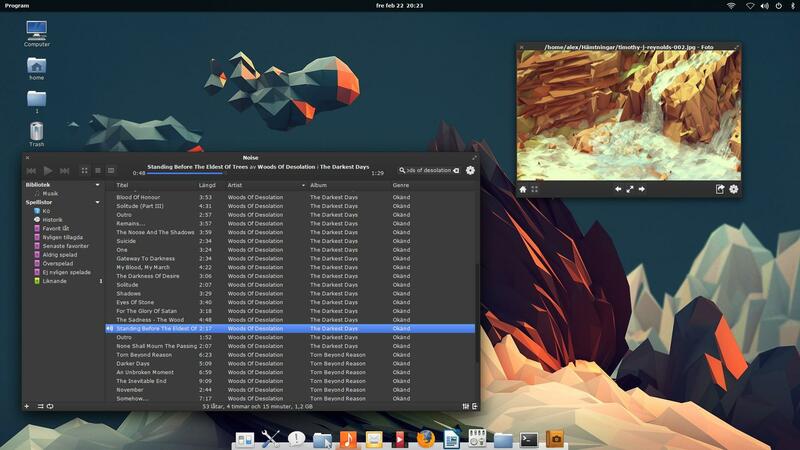 Celebrating Steam on Linux - and showing how much improvement there is with how it behaves on tilers since the beta. Configs and stuff can be found in the dwm link of my sig. Awesome. What game is that? Looks neat. I've installed steam successfully on my netbook but it is very underpowered as you would expect. Any cheap linux games available on steam that a netbook could run? I want to support Valve's decision to port steam to linux even though I don't have much moneys.